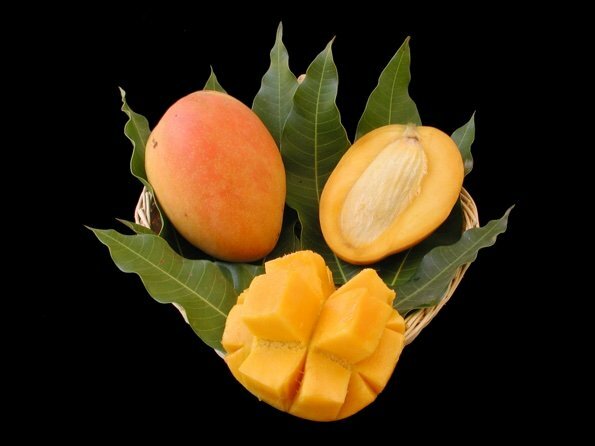 &QUOT;EDWARD&QUOT; IS A FIBERLESS CULTIVAR THAT IS SWEET, AROMATIC, AND CONSIDERED BY MANY TO BE THE FINEST TASTING OF ALL FLORIDA MANGOS. THE SKIN IS A GOLDEN YELLOW HAVING A REDDISH BLUSH WHERE EXPOSED TO THE SUN. THE TREE IS A VIGOROUS LARGE GROWER THAT IS A CONSISTENT BUT POOR PRODUCER. LIKE THE BAILEY'S MARVEL AND THE KEITT, THE JUVENILE TREES CAN BE VERY DIFFICULT TO GROW. THE FRUIT RIPENS FROM JUNE TO JULY.